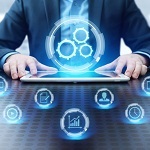 The U.S. Army plans to hold a groundbreaking ceremony on Nov. 29 for a new cyber headquarters at Fort Gordon, Georgia that will consolidate the service branch’s cyber, capability development, education and training operations. 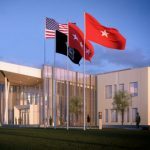 Army Secretary Eric Fanning and Army Cyber Command lead Lt. Gen. Paul Nakasone will attend the ceremony that will kick off a more than two-year construction effort, the service branch said Wednesday. The Army Corps of Engineers selected B.L. Harbert International in August to lead the project under a potential two-year, $85.1 million contract. B.L. Harbert will build new facilities for cyber operations and command-and-control functions through May 2018 as part of the project’s first phase. Phase two of construction will cover a facility to house cyber protection team operations and is scheduled to be completed in 2019, the Army noted. The branch’s new cyber hub is designed to accommodate more than 1,200 cyber soldiers and civilians and will be ready for occupancy in 2020.